The inaugural instalment of the festival will descend on the city between Friday 18th and Sunday 20th May 2018. 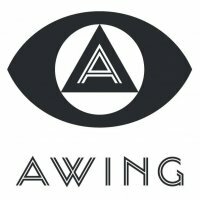 The A Wing team are back with what is set to be Lancaster&apos;s biggest celebration of music and arts, taking place between Friday 18th and Sunday 20th May 2018. Friday’s main stage will be hosted by Hospital Records, featuring a live performance from London Elektricity Big Band, High Contrast, Fred V & Grafix and Danny Byrd amongst other big label names. Sunday will see the return of Hacienda Classical, following the sell out showcase in 2016 at the park. The project, which is curated by resident DJs Mike Pickering and Graeme Park, combines club classics with a stunning orchestral set up. Saturday’s line up, along with The Dell, The Lake, The Sundial and The Memorial stages will be announced in January. The festival has been set up as a tribute to Skiddle&apos;s close friend Chris Glaba, who started A Wing alongside Richard Dyer and Jamie Scahill. Unfortunately, Chris lost his short battle with cancer last year. As a huge festival enthusiast, Highest Point naturally seemed like the best nod to Chris and his biggest passion. Highest Point tickets go on general sale at 10am on Thursday 7th December.